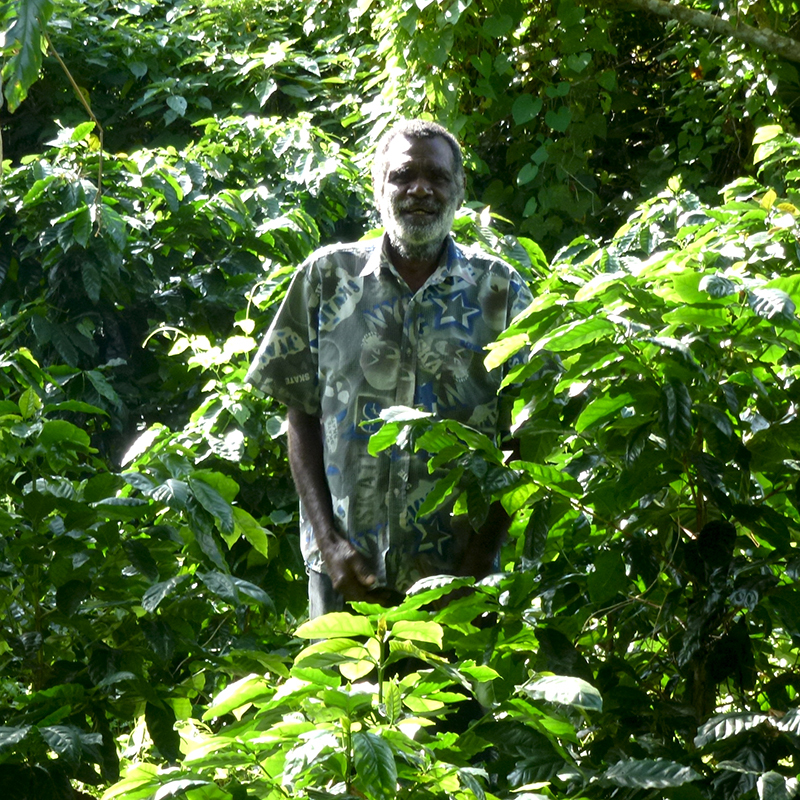 Chief Jack Kapum – A Vanuatu Coffee Visionary. Jack Kapum - Parmount Chief of Middlebush, Tanna Island. Things that are profound, require the culmination of a substantial number of contributions from a significant number of people, but are nearly always instigated by a single defining action. 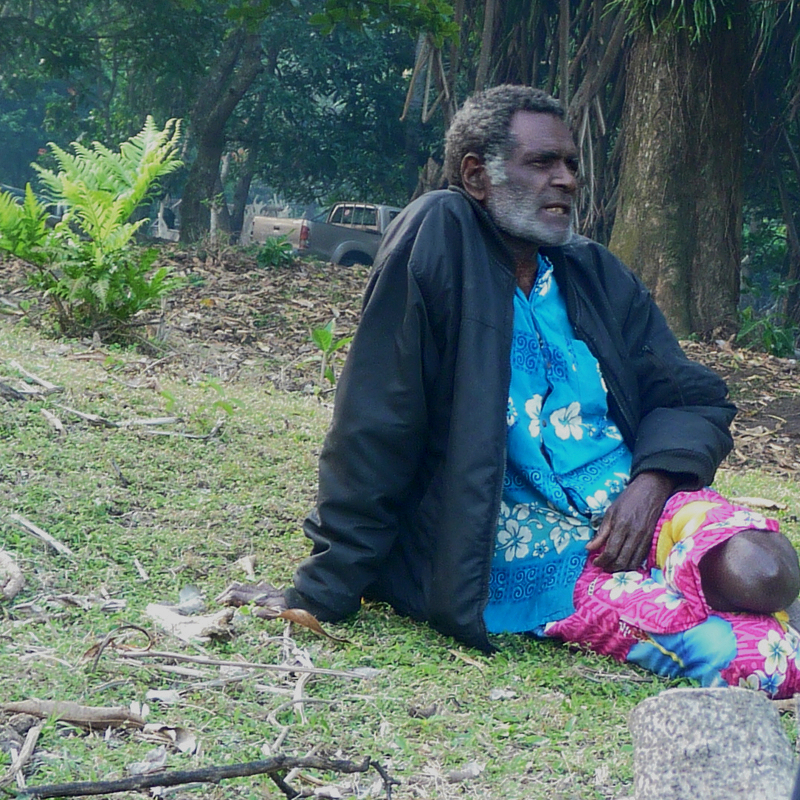 Jack Kapum one of many sons, of a notable highlands chief, was raised in the centre of Tanna Island, during a time of great change in Vanuatu - both politically and economically. Vanuatu experienced a metamorphosis from colonial governance to self-determination within a relatively few years. Jack Kapum grew up through these times and knew that for his home to have a future, it must actively develop its potential resources. Unlike many tropical islands, where communities are established almost exclusively on coastal fringes, Tanna possesses a rich fertile central highland region, fed by the airborne ash of the relatively benign Mt Yasur Volcano. Almost anything can be grown here, and the possibilities are limitless. Unfortunately, like many small island nations, development money has been sparse and development programmes fraught with difficulty. Coffee on Tanna has had a tumultuous introduction and while it offered significant economic benefits to the island, the first series of initiatives appear to have been ill-conceived and badly presented. Its acceptance was dogged by a perception of economic servitude by the people of Tanna, not helped by the fact that these initiatives occurred around the same time of Vanuatu’s independence. Views were divided within the newly independent nation and engendered strong debate. 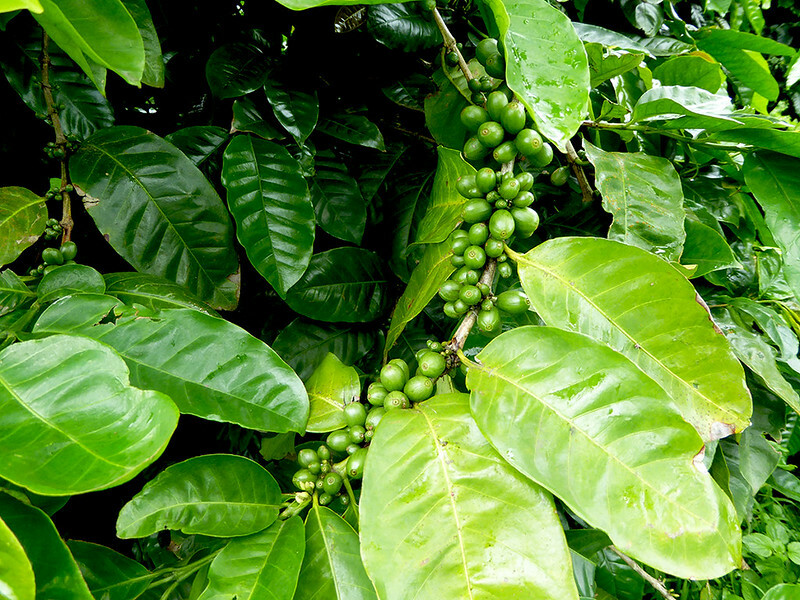 The promotion of coffee cultivation required people with vision and strength to succeed. As with most things, coffee appeared to offer so much to the future of Tanna, but would also present enormous challenges. In 1984 Jack Kapum was a member of Parliament of the newly formed Republic of Vanuatu, and like others was keen to help pave a way forward for its people. 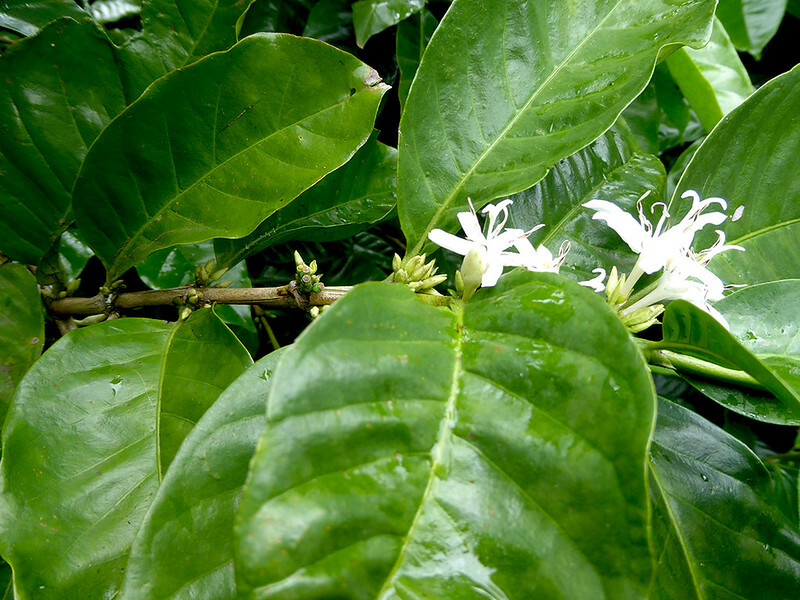 A proposal to introduce coffee cultivation in Tanna, divided political parties. Jack’s political party, then in opposition, consisted of 15 members, strongly opposed the development of the coffee project. Jack himself believed that coffee could provide both work and a stable means of income for his home island. While all his fellow members of Parliament walked out of the chamber during the vote, Jack’s commitment to the value of coffee leads him to cross the floor and vote with the ruling government of the time. His actions resulted in expulsion from the party, and consequently, he became the first independent member of Parliament in Vanuatu. Unfortunately for Jack, his former party heavily campaigned against him at the next elections and he lost his seat. For Jack, this was of no consequence as he was instrumental in the early struggle to introduce coffee production to the island of Tanna. 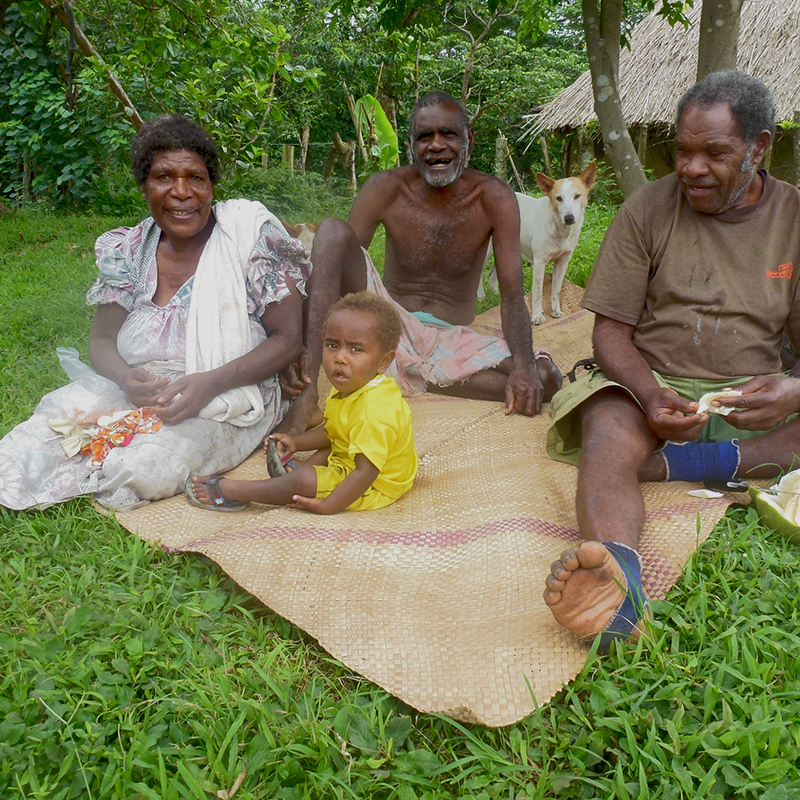 Throughout his life, Jack has been steadfast in his belief that Tanna was ideal for coffee production and that it could provide a means to provide important income for people at ”grass root” level. Subsequently, coffee development was established under a number of centralised initiatives but was always flawed however by not involving local communities at grass root level, and consequently did not receive significant “island” support. Jack Kapum himself, was terribly upset with how the coffee project had been set up, and while his family possessed substantial ”kastom” lands, refused to grow any coffee himself in protest. It was clear to Jack that the system would enslave the people cultivating it, not return significant proceeds to the farmers and would therefore not bring the prosperity envisaged. 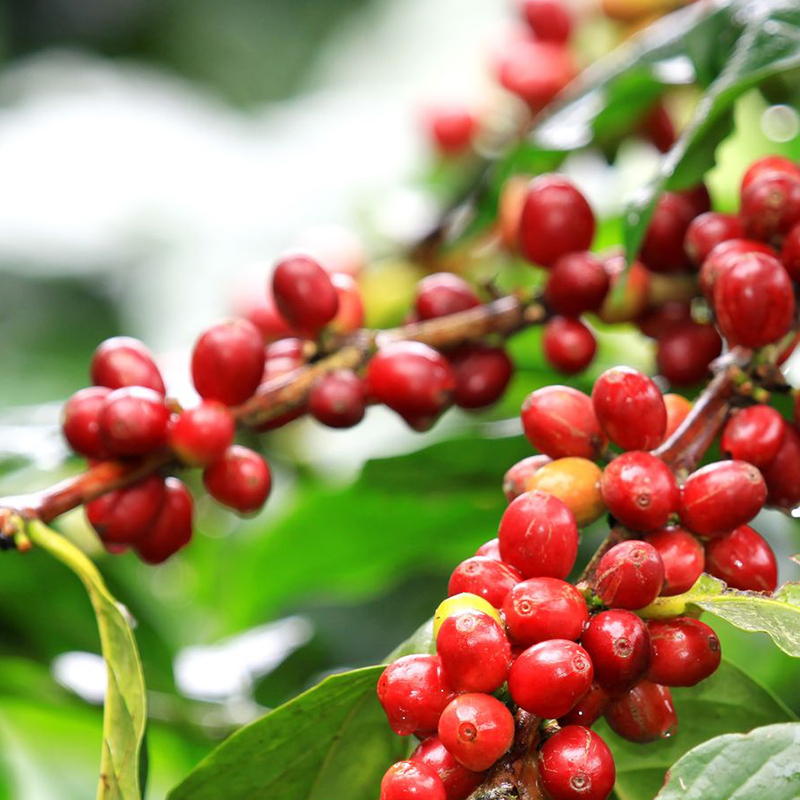 As the system was set to funnel most of the proceeds higher up the coffee production chain, growers barely made ends meet and had little incentive to increase production, carry out any proper maintenance practices, or harvest at the correct time when the beans had the correct moisture content. Further, the farmers had to transport the beans from Middlebush, in the highlands down to the factory in Lenekal. 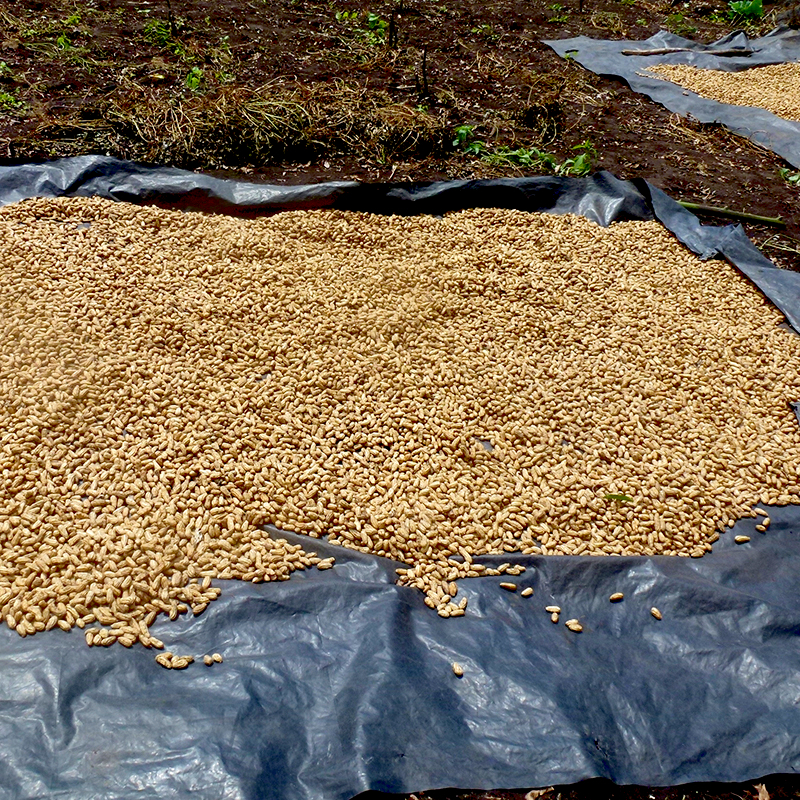 This was an obstacle which was beyond most farmers, and as a result only a portion of the beans made it to production. Substantial volumes of coffee beans were laid waste either because they didn't make it to market, or they were too green to be utilized. In more recent times new and dramatically different initiatives were introduced, which has allowed the development of a more efficient business model to the island. With the introduction of a localized system of farming, ”Man-Tanna” now not only cultivates his land but alongside and in conjunction with overseas end buyers, also buys and processes the coffee beans. Beans are now being bought at the farmers' doorstep, so the farmer no longer has to be concerned about transporting his harvest to Lenekal. A more consistent and fair payment system has developed across all buyers providing greater certainty for growers - It is not perfect by any means but has allowed a major step forward to occur. For the first time since 1984, Jack Kapum has started to grow coffee on his land. Jack is of the opinion, that previously "Man-Tanna” was set to be enslaved by the system, and was little changed from the colonial days, but today ”Man-Tanna” has been freed and is able to forge a future for himself. Many on the island feel the same way and coffee cultivation has increased sharply, slowly bringing a greater prosperity to Tanna Island itself. While the coffee industry on Tanna Island has had a slow and sometimes tumultuous history, it has gained momentum and has obtained respect overseas as an important social and economic brand. None of this would have happened if it wasn’t for that defining action of Jack Kapum walking the floor of the Vanuatu Parliament in 1984.